Title loans are a cash advance known as a quick-cash loan or a bad-credit loan. It gets its name from the speed of fund delivery and the fact that people with bad credit can qualify for it. If you are considering taking out a title loan, take the time to review some of the most common questions and answers regarding this type of advance. 1. What is a Title Loan? A title loan is a cash advance that is based on the value of your automobile. In order to receive this type of advance, you must be the vehicle owner and have the title to such vehicle in your hand. 2. How Old Must One Be to Apply for a Title Loan? You must be at least 18 years of age to apply for a title loan. The lender will require you to sign a legal contract. Minors may not sign legal contracts. 3. Can a Person With Bad Credit Get a Title Loan? A person with a bad credit score or history may be eligible to receive a title loan. Title loan lenders do not perform credit checks. They base their decision on your ability to make payment. 4. Can I Pay For a Title Loan With my Unemployment Check? You may make payment for your title loans by whatever means necessary. However, unemployed individuals will not qualify for a title loan. You must have earned income from an employer who you have been employed with for a significant amount of time. The title loan company will verify your place of employment and length of time worked there. They may also ask you to provide a list of references. They will call every one of those references. 5. What if my Car is Financed? You will not qualify for a title loan if there are any lines on the vehicle. 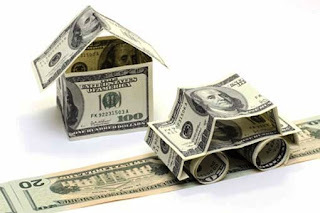 The automobile must belong to you and the title must be available for the lender to attach a lien. 6. How do I apply for a Title Loan? To apply for a title loan, you will need to go into the lender’s office personally. You must take your vehicle with you. Someone will come out and inspect it to make sure it is in good mechanical condition. They will record the mileage and the value of the car. 7. How Much Can I borrow? The amount you can borrow depends on the current value of your vehicle. The lender will make an offer to you based on your vehicle’s value. If you are not happy with the loan offer, you have the option to refuse such an agreement. 8. When Will I have to Pay it Back? Title loans are generally due within 30 days of the loan disbursement. 9. Will They Repossess my car if I do not pay? You will have an opportunity to ask the lender for an extension on the loan. They have the option to work with you or refuse. If you do not make payment on time, they may repossess your vehicle. A repossession on your credit report can be damaging. 10. How Much is the APR? The APR for a title loan can be as high as 250%. You may want to review other quick cash options, as this one may be a bit risky with your vehicle as collateral. 11. How Long Does the Process Take? If you have all of the necessary paperwork and your references answer their phones, you could have the money in your hands in an hour. The time it takes to complete the process varies according to speed of business and such. Beautifully explained. Superb article on Title loans. Hope we never have to do this, but it's a geat option to know if needed! Best bet to figure out how to best finance your car is speak to someone who can help you compare car finance rates I think. And it doesn't hurt to get a bit of professional advice right? Yes Webb, you may consult an expert as well.